What would you call a printer that combines high intelligence with high-quality, low-cost ink? We call it the KODAK HERO 7.1 All-in-One Printer. 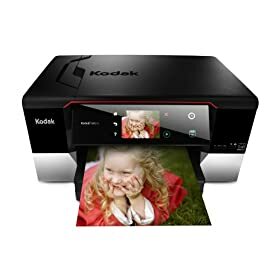 It uses affordable ink, so you can print KODAK Quality Photos at home without worrying about the cost. Plus it’s full of built-in smart features. GOOGLE Cloud Print lets you access it from any computer, smartphone, or tablet — so you can print from anywhere. Double-sided printing lets you save paper and time. Smart Sensor technology tells you just how much time and supplies you’ll need. And a sleek, responsive touch panel makes the enhanced feature package easy to control. Add it all up and you get a printer with an impressively high IQ that makes printing as easy as 1-2-3.